The GLCC is a member of the Massachusetts Cultural Council’s Local Cultural Council (LCC) program, the largest grassroots cultural funding network in the nation supporting thousands of community-based projects in the arts, humanities, and sciences annually. Each year, local councils award more than $2 million in grants to more than 5,000 cultural programs statewide. The program promotes the availability of rich cultural experiences for every Massachusetts citizen. 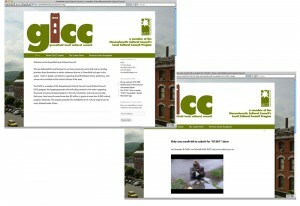 The GLCC’s website promotes their grant cycle, special events, and the work of recipients.